Newbiggin Village Hall were awarded just under £1,000 from one of our 90+ funds. 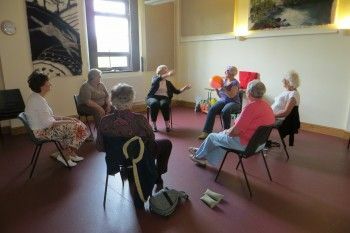 The money was used to host exercise classes for older people in the village and surrounding areas. The participants of the classes, who may not have otherwise taken part in any exercise are benefiting from the programme which is specifically tailored to their individual needs. One individual who was unable to drive because of her restricted neck movements was able to return to the wheel as a result of the Active Seniors programme. And another who had suffered a lower limb amputation found that the classes improved balance. As a result a wheel-chair was no longer required. Alan said “Participants have generally reported an improvement in co-ordination, joint mobility and balance. These can often be limiting factors in older, less active people. To find out more about the Active Senior exercise classes visit the Newbiggin Village Hall website.